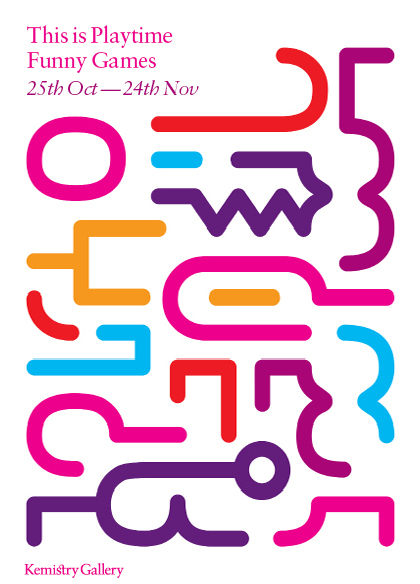 This is Playtime is an art & design practice founded by French illustrator and graphic designer Redouane Oumahi. Having now settled in Stockholm, Redouane focuses primarily on illustration, typography and installations. Heavily influenced by humour and coinciding with London’s biggest year of sport, Funny Games looks at how we can all find comical elements amongst the tension and passion that is often so evident in sport. Funny Games is inspired by Michael Haneke’s 1997 psychological thriller of the same name. By combining familiar aspects of games, with cinematic terms like goofs, bloopers and deleted scenes, This is Playtime has created a body of work designed to entertain and ensure that the viewer is always having fun.